A romantic backstory to this wonderful work: A number of Faroese sweaters were on exhibit in Copenhagen in 1921 and Queen Alexandrine was enchanted by the color motifs. She thought it a shame that the word-of-mouth patterns might disappear and requested that they be collected into a book. The project was undertaken by Hans Debes and here it is - in its original form. 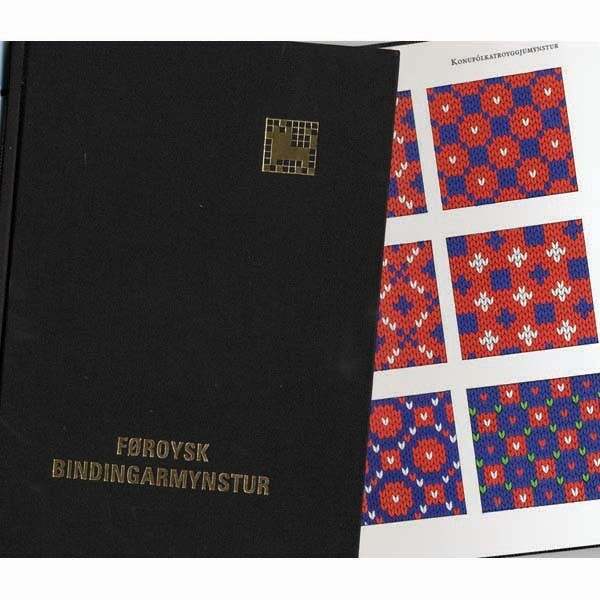 We began to import this color-pattern book directly from the Faroe Islands in 1972. Unfortunately, it was unobtainable for many years in the U.S., but now it is available again, to our great delight. Hardcover.